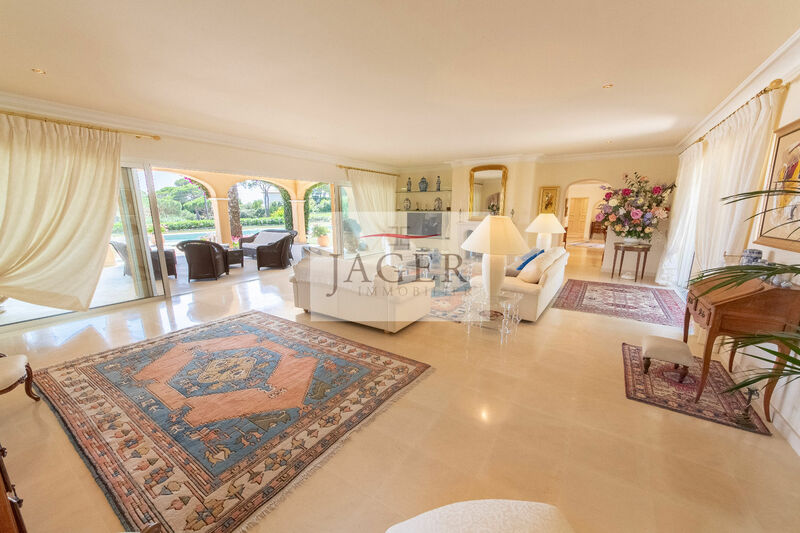 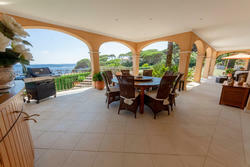 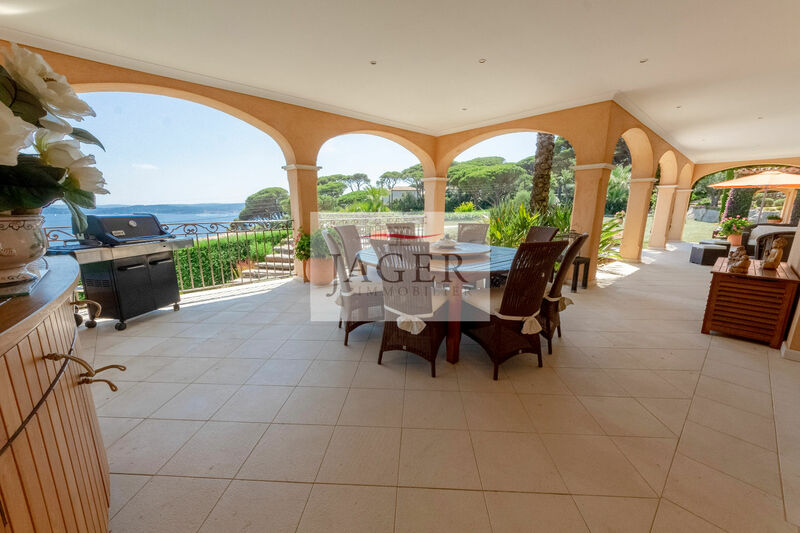 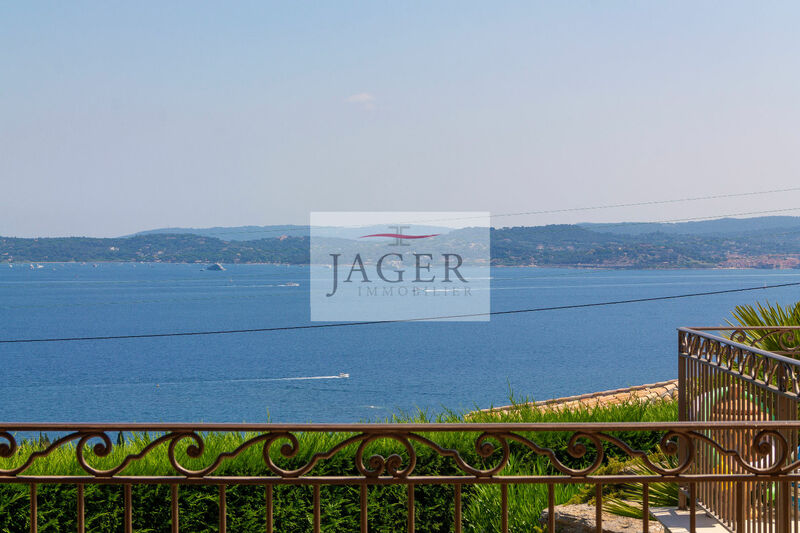 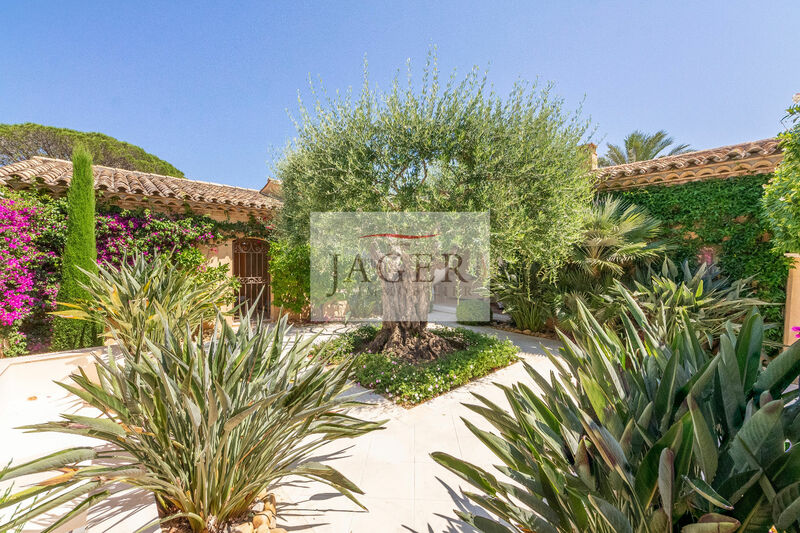 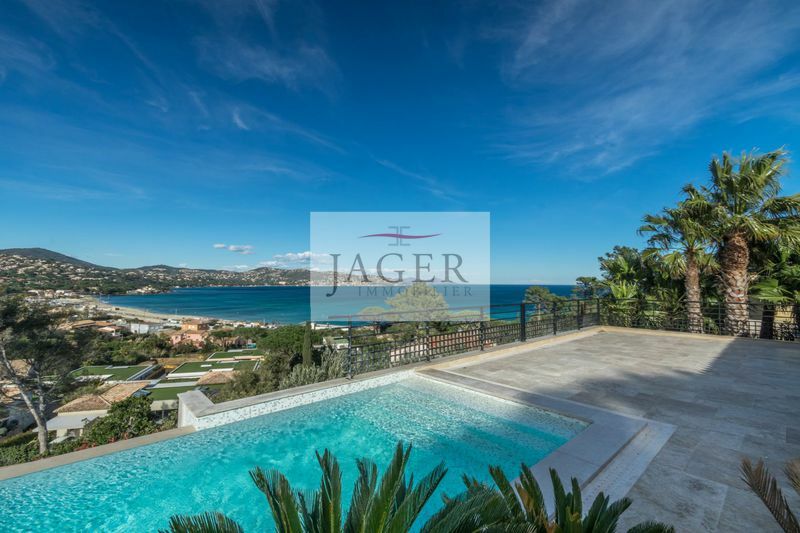 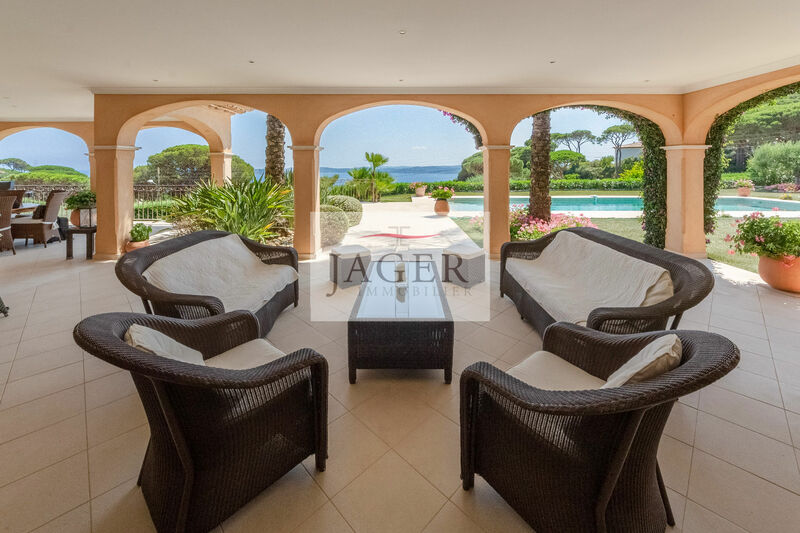 Beautiful property of approximately 320 sqm located in a dominant position with panoramic sea view on the Gulf of Saint-Tropez on landscaped land of 2888 sqm. 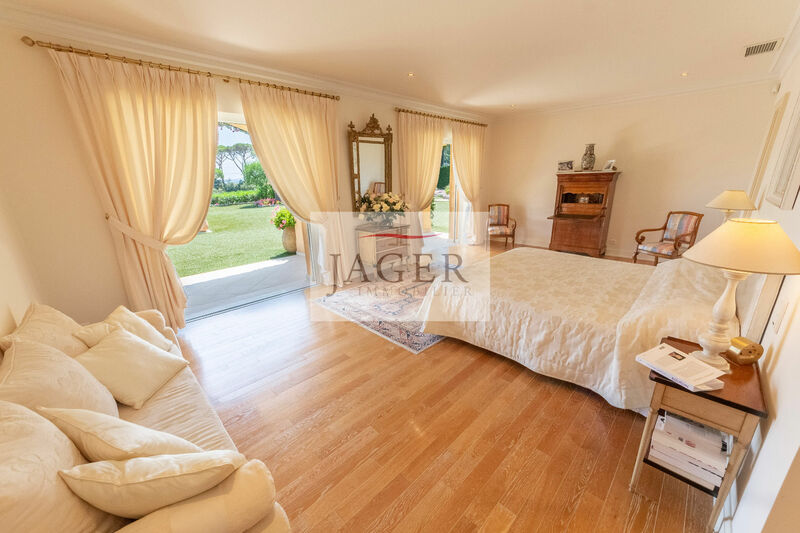 It offers on the ground floor: a large entrance hall, a living room with fireplace, a dining room, a fitted kitchen with scullery, master bedroom with dressing room and bathroom, two bedrooms en suite, office, large terrace covered with 90 m², patio crossing at the back. 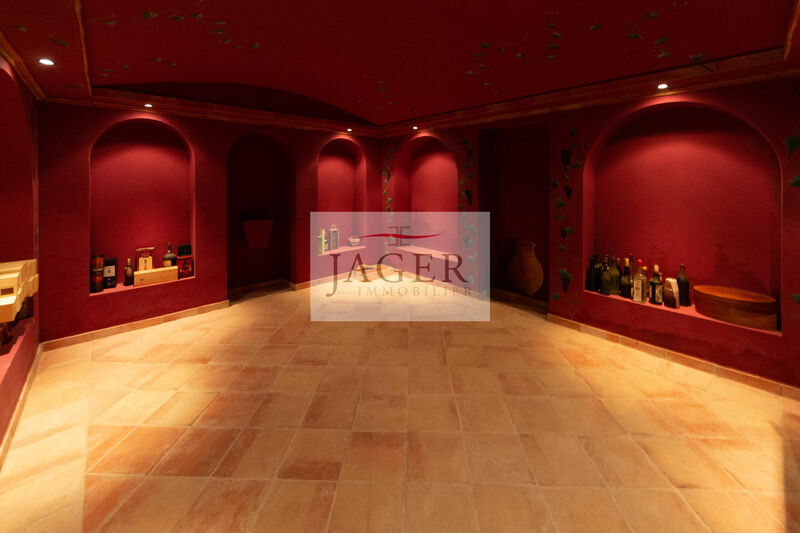 Large basement with a bedroom in suite with direct access from the outside, laundry, wine cellar, garage 6 cars, local swimming pool. 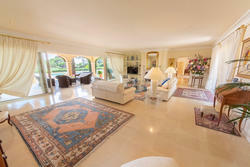 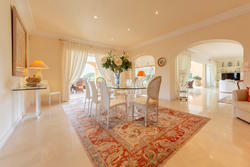 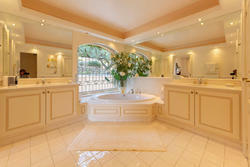 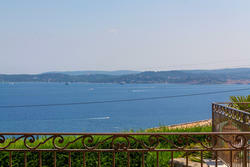 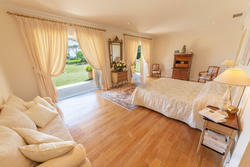 High quality services (stone floor, underfloor heating, air conditioning ...).